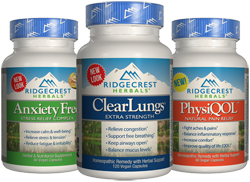 Ridgecrest Herbals - Babilon Arts, Inc.
RidgeCrest Herbals creates safe and effective natural remedies for a variety of specific health needs. Their products are designed to make a real difference in their consumers health and quality of life, enabling the to do more of the things they love. 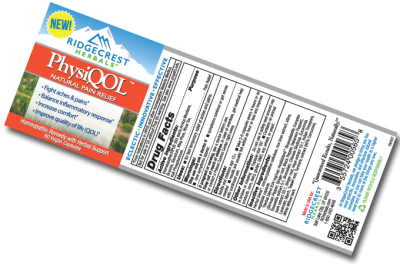 Ridgecrest Herbals was looking for production support for their already designed brand. They had a designer with a style they liked but did not have the follow through of impeccable production. They needed someone to apply the design style to their line of products and have it set up for the printer. They also needed support with monthly ads and 3D digital illustrations of their products. We collaborated with the design director to finalize the design and apply a consistent look to all their product labels. We set up each label with a 5th color for silver print. We also manage all of their label changes and use an archiving system to keep track of label evolution. We communicate with the printer to ensure they have the latest files in the manner they require for printing. Once the labels are finalized we also produce 3D digital illustrations of the bottles. This gives them a higher flexibility in lighting than a photograph would.